On the evening of July 16th, Elton John entertained guests with a very special performance. The event was a party organised by the famous Cala Di Volpe Starwood Hotel. On the terrace of the Bar Pontile, Hublot unveiled two sparkling limited edition watches as a tribute to the anniversary of the iconic marina: the Big Bang Costa Smeralda for ladies, and the King Power Costa Smeralda for gentlemen. “Quality, beauty, prestige, relaxation, joy, happiness and freedom are a few words that describe the Costa Smeralda. They are qualities we try to perpetuate through our art. Hublot watches should not only be considered as timepieces, but more like objects of quality, prestige, beauty, freedom, joy and happiness. 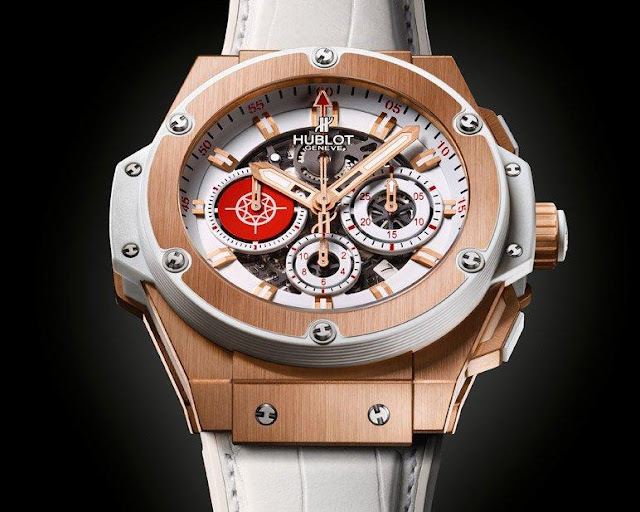 This is why the partnership between Hublot and Costa Smeralda seemed so obvious! 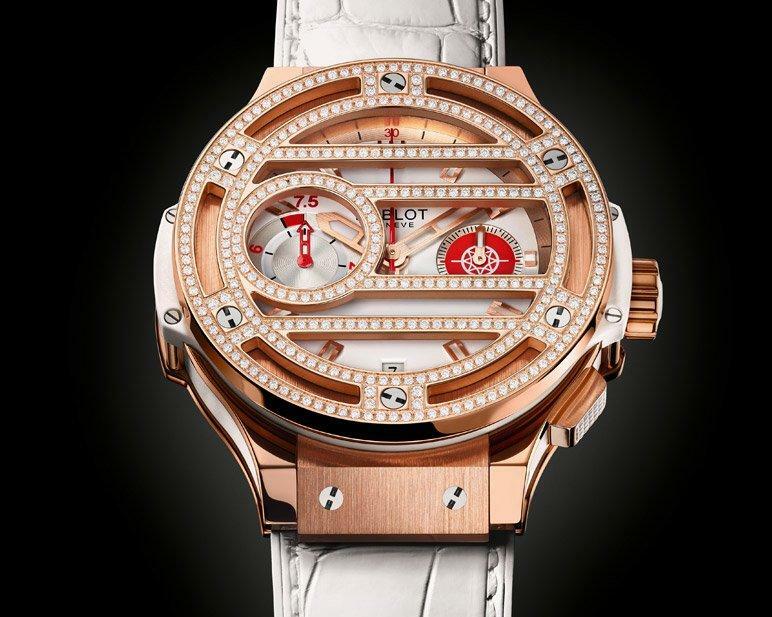 “ Jean-Claude Biver, Hublot Chairman. The Costa Smeralda is not only widely celebrated as a playground for the most exclusive VIPs, but also for its unrivalled beaches and secluded coves. Located on the northern coast of the Italian island of Sardinia, Costa Smeralda is at the heart of the Mediterranean Sea and at the crossroads of international yachting routes. The gilded tale began, fittingly, with a prince… Already 50 years have passed since Prince Karim Aga Khan arrived in Sardinia and created the Costa Smeralda Consortium and made of this place a destination for international jetsetters. From the beautiful Grace Kelly to Brigitte Bardot and Ringo Starr, anybody... who was somebody…had to share a glass of champagne there. Top French and Italian architects were hired to design, from scratch the little village of Porto Cervo. Famous golf club architect Robert Trent Jones was brought in to build a world-class golf facility, the Pevero Golf Club. It is known as one of the most beautiful golf courses in the world, and hosts many major international tournaments including the prestigious Italian Open. Today, Pevero is even enhanced by the presence of Hublot clocks in strategic locations, giving the club an even more sport-chic and luxurious look. 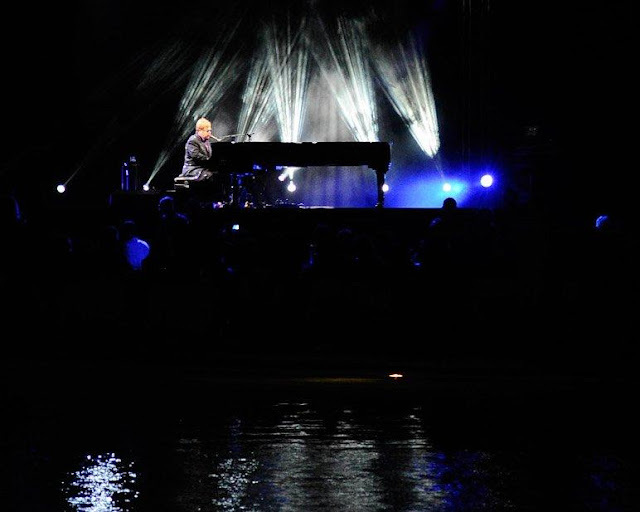 Time goes by and Costa Smeralda is still the place to be for world class celebrities who like to gather at the famous Cala di Volpe when night descends on the village. Word has spread that this is where Hublot has chosen to unveil its Big Bang Costa Smeralda, a watch specially created for the 50th Anniversary. Costa Smeralda’s 50th anniversary is celebrated by Hublot with two exclusive watches for men and women – each limited to only 100 pieces, which combine the summer and festive side of gold and sparkling diamonds. This elitist watch is the perfect reflection of the temperament of the beautiful A-list people who make Costa Smeralda what it is.